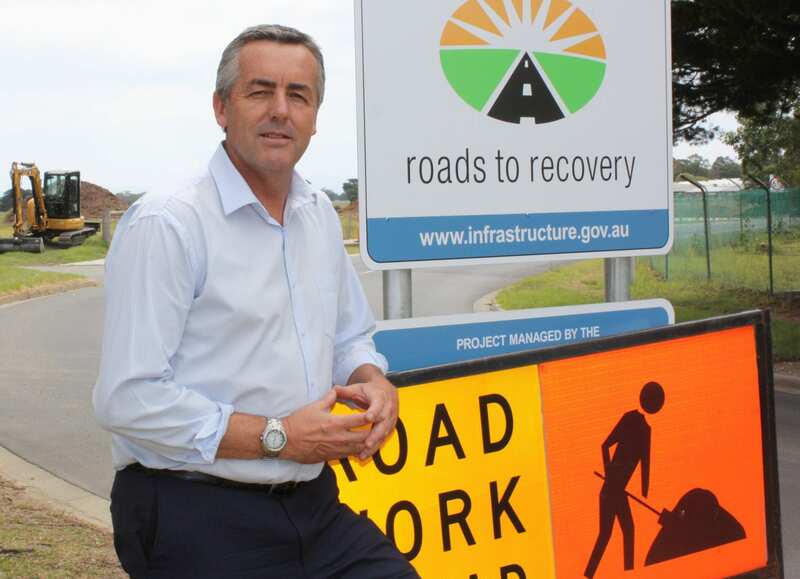 Federal Member for Gippsland Darren Chester says an extra $8 million has been allocated to Gippsland to improve road safety on local roads under the Roads to Recovery program. Gippsland MP Darren Chester has welcomed almost $8 million in additional funding to improve safety on local roads in Gippsland included in Tuesday night’s Federal Budget. The extra money will be given to Latrobe City, Wellington Shire and East Gippsland Shire under the Roads to Recovery program over the coming five years, bringing the total funding allocated to nearly $40 million. Mr Chester said the funding boost for Gippsland was part of the additional $1.1 billion allocated to local councils across Australia. “Safer roads can help prevent deaths and injuries on our roads and I am proud to have secured extra Federal Government money that will enable our councils to expand the scope of their road safety works program,” Mr Chester said. Mr Chester said he was also pleased the $132 million he secured last year to complete the duplication of the Princes Highway between Traralgon and Sale was again included in this year’s Budget. “The Federal Government is steadfast in its commitment to completing the highway duplication, the most important infrastructure project east of Melbourne,” Mr Chester said. Mr Chester said local motorists would also benefit from a $1 billion fund for Princes Highway upgrades in partnership with state governments. “The Federal Government will work with its state counterparts to improve safety along the highway from Sydney, down the coast to Gippsland, onto Melbourne and across to Adelaide,” Mr Chester said. As Federal Minister for Infrastructure and Transport, Mr Chester commissioned a review of the national road safety strategy. He said he was pleased funding had been allocated in the Budget to implement its recommendations. “The Budget includes $12 million to establish a Road Safety Innovation Fund,” Mr Chester said. “The fund will support research and development in areas including regional road safety, driver distraction from mobile devices, protecting vulnerable road users and reducing drug driving. “It’s a sad fact that a disproportionate number of people are killed on rural roads and for many years I have campaigned for projects that improve road safety across Gippsland. “I believe the Federal Government needs to take a leadership role. We need to share information across state borders on the most effective way to reduce road trauma and safety should be at the centre of our government’s infrastructure investment plans.